Many people wish that they could be experts in fixing cars but don’t have any knowledge of how they can make it happen. There are a few steps you need to consider when you want to restore a classic car. However, it is important to know that it will take some time to implement them and plan your budgeting the fact that you are doing it for the first time. Full restoration projects will require more than 1000 hours and you will need several parts that are not easy to find. They are also costly in the long run and would require great determination. In this article, we will look at ways of accomplishing this task without having to break your bank. First, you will need to determine the type of vehicle you want to restore. Purchasing a car that is partially restored is one of the ways in which you can cut down on the costs and amount of work you need to do in the restoration project. If you have an existing car, it is important to evaluate the components that would require restoration. Never be in a hurry to make a choice since you take longer depending on the amount of work you have. After evaluating the condition of your vehicle, you will need to purchase the replacement parts. You can always salvage a few parts that are already on the engine and on the car. The vehicle salvage centers can give you an idea if they have a similar vehicle in the area. Also, you can check out from the online retailers to find the best deals that match your car specifications. Doing the work by yourself can help you cut the budget. A garage will be the perfect place to carry out the job since your car is shielded from harsh weather conditions. You will also need the owner’s manual, a full range of auto tools and plenty of experience. Have some conversation with enthusiasts or friends who are willing to help or teach you because they have better restoration experiences. The condition of your car will determine the amount of body work you need to do. Never rush the project you are working on because greatness is a lot of small things done well. It will also need a thorough research to determine the most appropriate replacement parts for your projects. The process of restoration can be made much easier by incorporating the right tools. We have highlighted a few tools that will help you get started. Auto body kits – a good body kit will be ideal for plenty of body work. It should have everything that you need at your disposals such as a rubber mallet and pullers. Electrical testers – Older cars usually have a few issues with their electrical systems. The testers will help you validate the efficiency or functionality of old parts. Jack stands – It is one of the safety options that provide support to your car. Having four of them will be ideal for each corner. Safety glasses – you need to have at least two pairs of safety glasses, one for you and another for your on looking partner. Socket sets – it is important to have two full sets for each socket i.e. deep and shallow. Floor jack – They are popular in professional garages and can help you raise or twist the handle in a different perspective if you want to lower it. Spring processor – it is a necessity to have a spring processor if you will be replacing ball joints, coil springs or bushings. 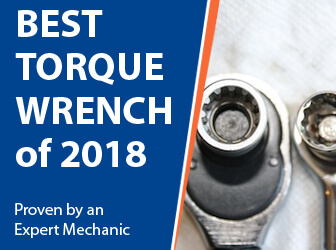 Torque Wrenches – how else are you going to assemble all the nuts and bolts together without it? Though you need to figure out the right size and value for the your vehicle as well as know how to use a torque wrench. Wrenches – for all other usual bolting, you will need a combination or double end wrenches that a ratchet will withstand. Screwdrivers – they are capable of carrying out a variety of tasks and can always come in handy. Engine stand and puller – an engine stand will support the block you are working in while a puller will remove and install engines. There are three components involved when handling a restoration project. These include engine, paint and the interior of your car. The paint job is one of the essential procedures when reviving an old vehicle. It is something that makes your vehicle brand new and unique from any other on the road. Always make thorough preparations of the body before you begin your painting or spraying. The overall appearance of your design can be interfered with if you change your leather seats or overhead consoles. You can always find an upholstery shop that will re-stuff your seats rather than replacing them. If you want to alter the initial design, chose fabric or upholstery materials that were used in the particular models of your car. There may be a significant amount of rust depending on the storage and age of your vehicle. You will need to strip the frame which makes it a long task. A chemical treatment can also be ideal for the job and a rust stabilizer will always get rid of any rust when applied. Communicate with car dealers to find the right parts for your car. They have years of experience in the field and can determine the best place where you will find them. Similar models can be found in the junk yard and will reduce your costs of having to buy new spare parts. It is easy to fix scratches that have not undergone paint yet. Acetone or a detailing solution will be most appropriate for the job. They can be applied to the scratch before being waxed. One of the options you can take is to glue special repair patches on the holes. Moisture will make the rust spots bubble after some period. Using a car cover can be useful to get rid of the moisture. Depending on the situation of the vehicle, it could cost you between $40,000 to $80,000. If you have more customization and accessories, expect to shell out more. Yes, it does take time also, especially when you are restoring classic cars where parts are need to be bought in order basis. However, if you’re not someone who wants to get down on their knees, then the best option is for you to hire a mechanic. But for those who loves to get their hands dirty, you’ll surely enjoy the progress and the sense of accomplishment later on.